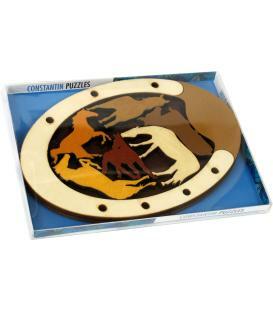 Can you release the Ball from inside the Puzzle? A multi-layer sliding Piece Maze. Push the Ball in through the 'C' shaped hole. Move the horizontal and vertical sliders in the correct order to move the Ball through the Hidden Corridor concealed inside the Puzzle. Find the exit or be forever lost in the hidden depths of the Hidden Corridor. 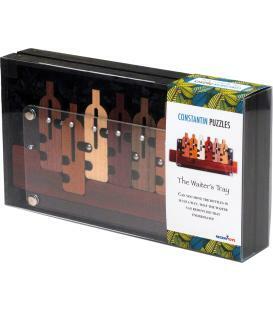 One in a Series of 5 new Puzzles designed by Jean Claude Constantin and made by Recent Toys. 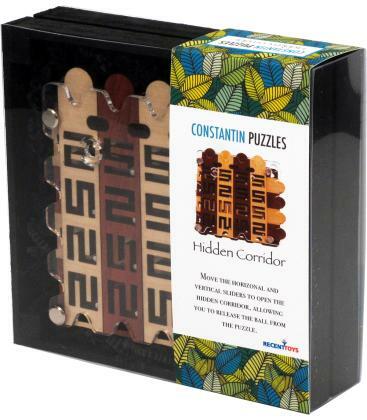 Constantin is unquestionably, one of the most prolific Puzzle Inventors of the past 30 years. His unique and diverse Puzzle creations are renowned for their beautiful designs and challenging solutions. What's so astounding is that he still doesn't seem to be running out of new ideas! 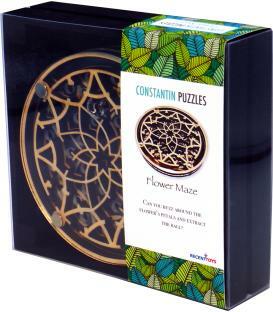 Size: 125x125x20 mm. 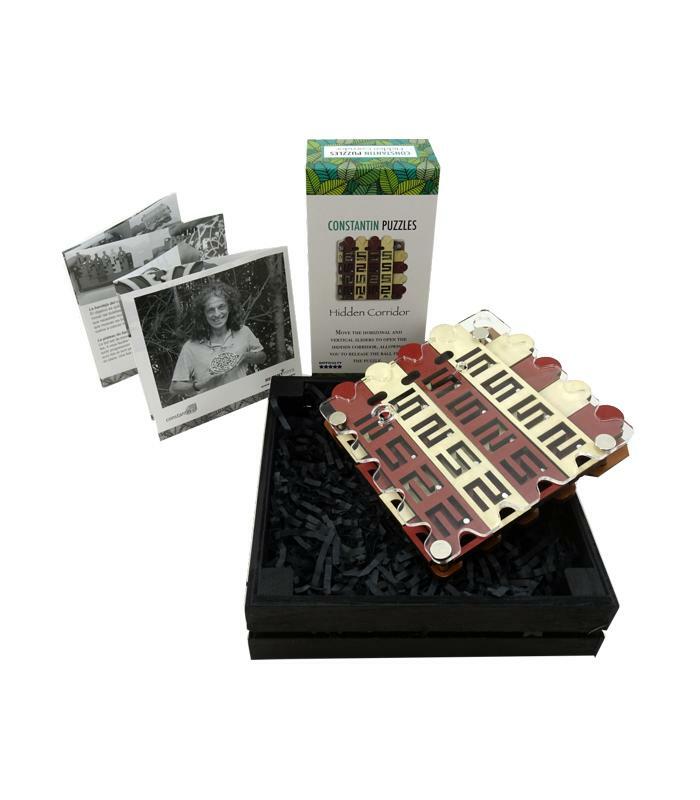 The Box is 155x155x42 mm. 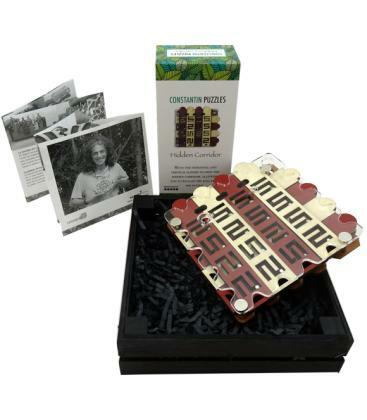 The Puzzle is gift boxed in a black plywood Box with a Booklet about this Series of Puzzles so its ready to give as a present. 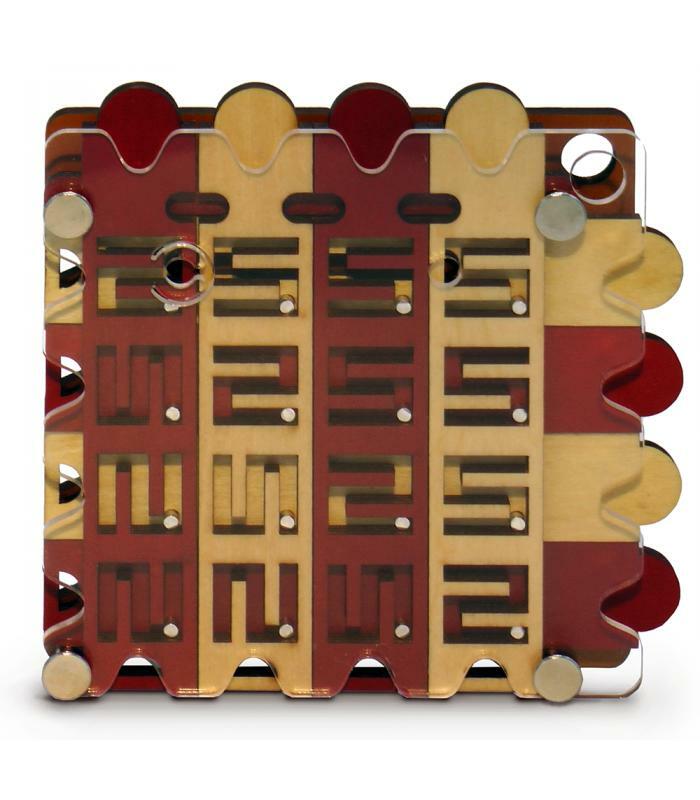 The Booklet is written in English, German, French and Spanish but don't worry, it does not contain the solutions to the Puzzles, so no chance of cheating! To escape the Maze they'll have to work this one out for themselves.